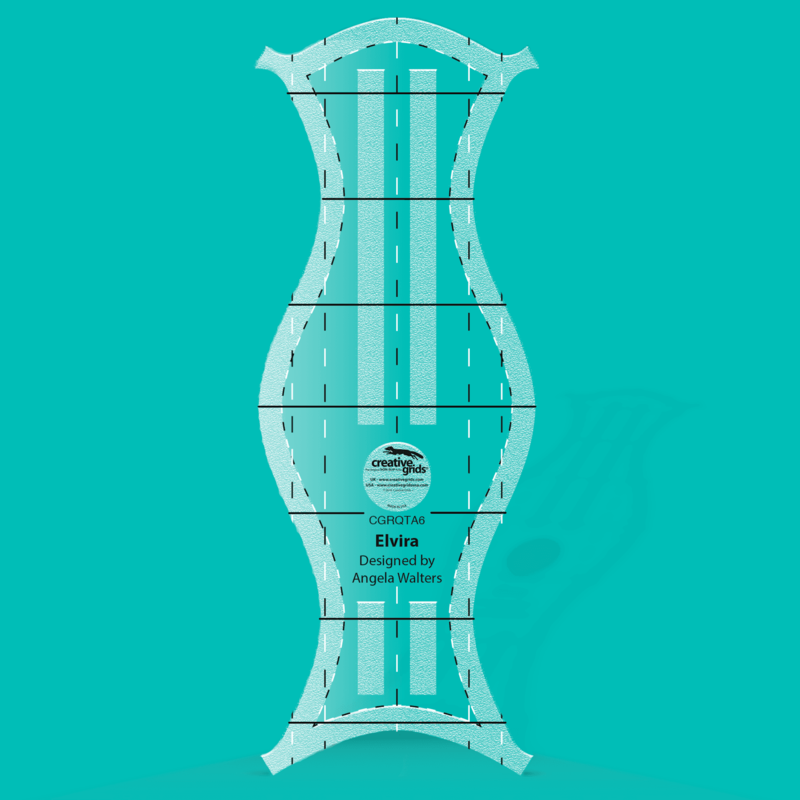 She not only looks beautiful, she's quite handy when quilting wavy lines or continuous curve lines. 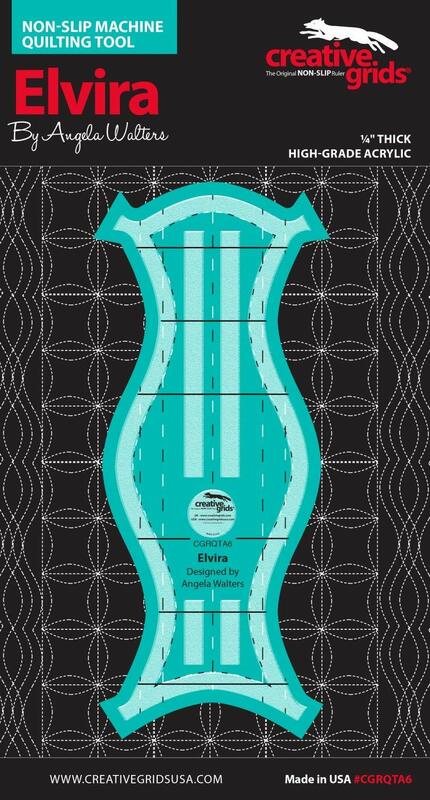 Elvira can quilt multiple arcs in multiple directions without rotating your quilt (or working from the back of your foot)! 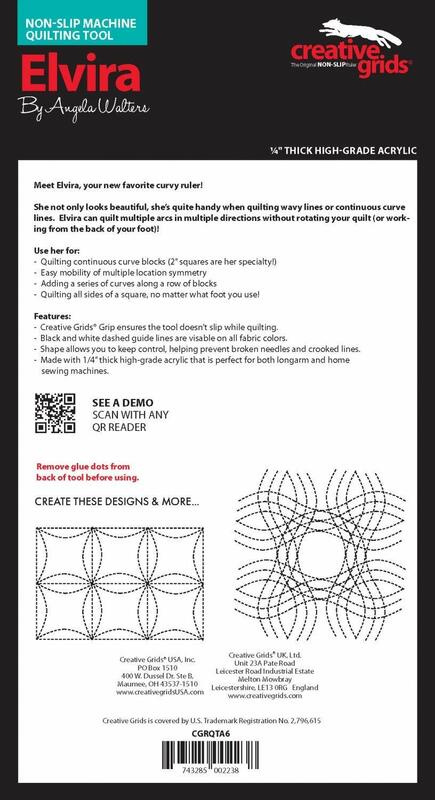 - Creative Grids Grip ensures the tool doesn?t slip while quilting.